For Swim Serpentine I am raising money for Anthony Nolan, a charity that supports people with different blood cancers, including leukaemia. I take part in many sports events over the course of a year, and I generally do so because I love doing sport and it also gives my keep fit regimes a bit more meaning. I also like to push myself out of my comfort zone (which will definitely be the case when swimming one mile in Swim Serpentine!). However, at a couple of events each year I link what I'm doing to charity. I usually enter the event myself and then choose a charity to raise money for, and just raise whatever I raise. I would rather not put myself under the pressure of having the charity buy the place only for me to have to raise £2,000! So this time I will be raising money for Anthony Nolan. It is a charity that has more meaning for me. They are always appealing for bone marrow donors for those suffering from blood diseases, and in particular people of black and asian origin as it is particularly difficult to find a match in our patient group. As well as that a family friend died from leukaemia suddenly a year ago. It was really shocking how the diagnosis came from out of the blue and she deteriorated so quickly. They called it adult T-cell lymphoma, a very aggressive form of the disease. 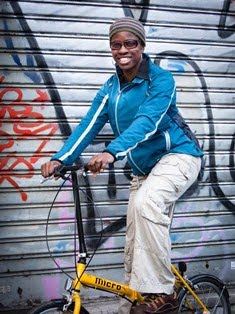 Within a couple of weeks of the diagnosis she had passed away, just at the age of 50, leaving behind two teenage boys. I also remember the big campaign that was on during the late nineties to find a donor for a young black boy in London called Daniel De Gale. He luckily found a donor and lived for a number of years following the transplant, but he passed away aged 21 due to other blood complications. My mum, who died suddenly from a blood disease three years ago, also struggled with problems with her white blood cells and had to regularly have bone marrow assessments. So for me, doing something to help in the fight against blood cancer and other blood diseases is particularly meaningful. And as I battle to get through the 1-mile (1600m) swim in the Serpentine lake I know that this will be nothing compared to the suffering and anguish that people with blood diseases and their families will go through. 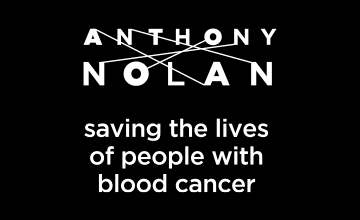 If you want to make a donation, however small, you can do so via my Anthony Nolan fundraising page. Thanks.